It has already been recorded... several spontaneous pieces with a passionate Hungarian flavour! I don’t have a title yet, but my working title is Piano Rhapsodies. It’s my first entirely instrumental creation since 1993! Asher will sing in Hellevoetsluis, near Rotterdam on May 16th; Strijen, near Dordrecht on May 17th and Beek, near Maastricht, on May 18th. Strijen is nearly sold out and Beek is filling up fast, so buy your tickets in advance if you’d like to come, in case it’s full on the night! Hellevoetsluis is at the Ri-Jo dance centre… plenty of room there, but the other two are smaller venues. CD’s will be for sale at GREAT concert bargain prices!! Kerani will play a 30-minute set from her new instrumental masterpiece, and Asher will sing songs old, new and newer! Further details & tickets here. A very popular guest artist on this site, Myristica has released two wonderful new instrumental albums, the enchanting compilation album Butterflies and Lullabies, and the reflectively wistful Waiting for Yesterday. Samples, CD’s and downloads available here. ~ Special seasonal CD offer!! 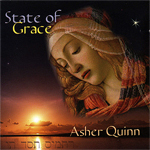 Asher Quinn's recently released CD, 'Sacred Songs' is truly a monumental work! It’s his twenty-sixth album, and, believe me, every new album is even better than the last. 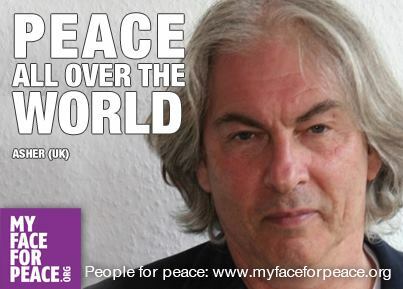 Actually, it is inconceivable that this man has remained so relatively unknown all these years, as he has progressed from being, originally, the creator of beautiful, innovative instrumental new-age music (recording then as 'Asha') to a composer and performer today of great, mystical love-songs. Perhaps he is best described as a spiritual singer/songwriter, and the pioneer of a genre… the spiritual love song. ‘Sacred Songs’, says Asher, was channeled, literally, between March and July last year. Beautiful arrangements, excellent musician-ship and a disarmingly pure voice open the gates to the heart each time one hears the very first notes of the fourteen songs. And people who love poetry also have much to enjoy and marvel at, listening to his profound lyrics and metaphors (reminiscent of William Blake and the romantic poets) in gorgeous love-songs like 'Beyond Saturn' and 'I wish', and the spiritually themed ballads 'You are loved' and 'Evangelina'. There is so much spiritual wisdom here, as well as startling beauty. There is the folky, pagan 'Green man', and the heart-achingly beautiful 'Passion play', but particularly special is the final song ‘One More Hour’ (the Hallelujah Song). The original melody ‘Canon in D’ (Pachelbel) later contains Asher’s own lyrics and I can tell you, it’s tender, passionate, heart-opening and enriching… incredibly moving. 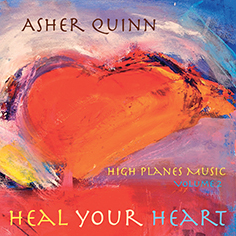 Characteristic of Asher Quinn’s music is that the songs are so deep and diverse. If you listen to them frequently, every song actually seems to gather in strength, depth and intensity… as if they continue to grow and develop in your soul! A monument, indeed, with perhaps one small point of criticism: just over seventy minutes seems so very short with these kind of songs!! A double CD of this material would have been ideal! !